I'd written a review on Amazon of Blue Stars - a fiction book written by English Professor and Occupy Supporter, Emily Gray Tedrowe. 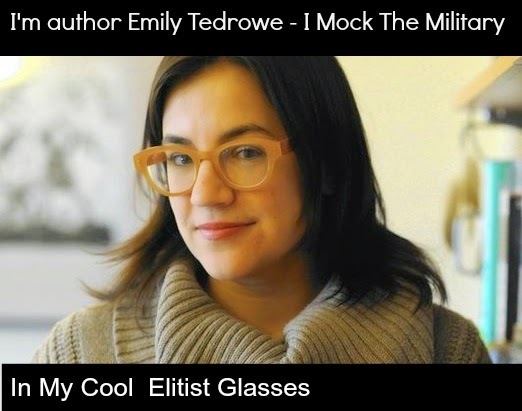 Though this book sounds as if it's pro military, a few chapters in, it's simple for anyone that supports our military, that Emily is mocking the military (and Latino women). I tried to repost, it didn't go through. So I posed the review on my website. As an aside...who dresses this woman? No, those glasses don't make you look superior, they make you look desperate for validation. Or looking to date a clown.